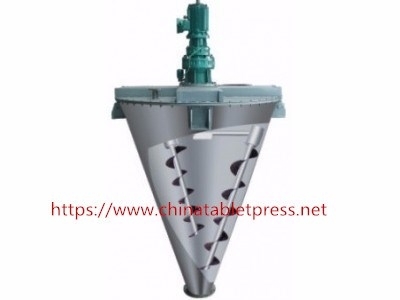 Double Screw Cone Mixer is a high-efficiency and high-precision mixing equipment, widely used to mix various powder materials in pharmaceutical, chemical and feed industries. Its soft stirring method doesn't destroy fragile materials, such as crystals. Low energy consumption makes the machine more suitable for the chemical reactions of the materials. The parts exposed to the materials are made of stainless steel .